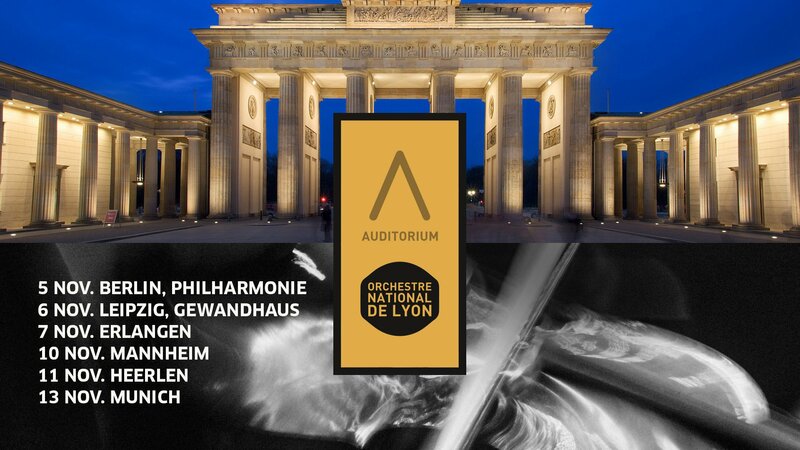 Led by Directeur Musical Honoraire Leonard Slatkin, the Orchestre National de Lyon is on tour in Germany, presenting six concerts over the course of nine days. The tour begins with a performance at the Berlin Philharmonie, marking the ensemble’s first time playing there, and ends with a concert in Munich. Pianist Khatia Buniatishvili joins the orchestra as guest soloist in the Rachmaninov Piano Concerto No. 2. The programs also include such works as Mussorgsky’s Pictures at an Exhibition, Ravel’s Le tombeau de Couperin, Barber’s Adagio for Strings, and Debussy’s La Mer.